1. Customer is the king. Bankers will tell you that the customer is the King. Customers can fire everyone in the company by refusing to buy from you. Your customers need to feel that they are important to you. Remember, their personal recommendation and word-of-mouth are the cheapest method of advert for any business. With the use of Google search engine, customers have more information at their finger tips. They can search and compare about anything before making their buying decision. You need to understand that each group of existing and potential customers (e.g. cultural, and socio-economic) have different preferences and needs. For example the brand of office dress uses by directors are usually different from what a new junior staff would use. If you failed to recognize and meet such expectations, you will either loose the director or entry staff to other competitors. At the very least, you should segment your customers base on the need and preference basis. Collecting your trade receivables on time through cash sales or cash discount. Manage inventory control – just keep what is needed. Credit management is a key tool for small business operations. It impact the firm credit score and poor scores will not attract good payment term from suppliers or a better credit rating by your banks. Niche businesses specializes in a certain type of market or product. A small firm with limited resources can efficiently serve niche markets by focusing on certain potential buyers. Niche market is designed to avoid direct competitions with larger firms. It also targets a small number of customers seeking special benefits from your product. Most firms begin with niche strategy, which helps them focus on specific products or services. It also helps them create a more effective overall advertising campaign for the target audience. A saloon that target students will most likely focus advert on schools. 4. Differentiate your products and services. What is the value difference your product offers compared to competition? Why should customers buy from your firm instead of competitors? Most business experts confirm that customers do not buy the product but the benefits the product offer. Present the benefits of your products and services to your customers, highlighting the unique solutions it offers to their needs. Differentiation can be achieve through improve products and processes. For example some restaurant offers free delivery service within certain neighborhood. To see your dreams of owning a profitable business become a reality, you must plan each step along the way. Successful entrepreneurs understand the power of planning to grow small business. A good plan helps you increase your chances of succeeding and can help you define your business idea feasibility, estimate costs, predict sales and control the operation. Your plan should be simple, specific and realistic. There are few successful entrepreneur who says that they never planned at the beginning. This people may had no written business plan but they clearly know what they want and how they will get it. These people are often flexible and quick to change directions when they see their plans are not working. Many people incorrectly assumed that their success solely depends on paper qualifications, general intelligence and good looks. In fact, human development experts believes that the key determinants of our performance and success are knowledge and attitude. As a business manager, you should always tries to learn key skill and updates relating to your industry. Growth of any business depends on what the manager(s) know about their business environment and how they respond it. Example small fashion shops are using social media to market and sell their products. They know that they should always be seeking ways of reaching their customers. Learning is a process which should continue throughout our life. When business leaders stop learning, the businesses will stop growing. Unfortunately, majority of people stop learning when they leave school or university. The more you learn, the more you will come across new ideas or solution to your customers’ problem. Remember, if we keeping on doing the same thing, we will keep on getting the same result -Brian Tracy. Running your own business involves many decisions, which is often seem overwhelming. In today’s business world, where many new businesses fail within the first five years, it make sense to increase your chances of success by seeking the expertise that professional resources and advisors can provide. This is very important on areas that relates to regulatory compliances. For example engaging a legal counsel would ensure that you acquired the relevant permits and structures before starting any new venture. Registering a company is not enough to start selling drugs. You will require relevant health department’s licenses. Accountants can help you on corporate tax, value added tax and other finance matters. If you make some money, you can engage the service of other consultants. In summary, the most important success factor to grow small business is the owner and their strategies. Share your small business tips with us. 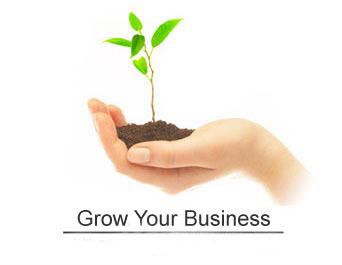 Be the first to comment on "7 Rules to Grow Small Business"